Kenya Lionesses head coach Kevin Wambua believes their performance in the Hong Kong Sevens will spur them to vie for a medal in the Commonwealth Games in Gold Coast, Australia. The Kenya Lionesses narrowly lost to South Africa in the semi-finals at the Hong Kong Sevens but had won all their previous matches including their first ever over South Africa in the pool matches. “Though we didn’t win it, we went a step further from last year and picked plenty of positives and experience which will be vital for us as we head into the Commonwealth Games next week,” Wambua said. 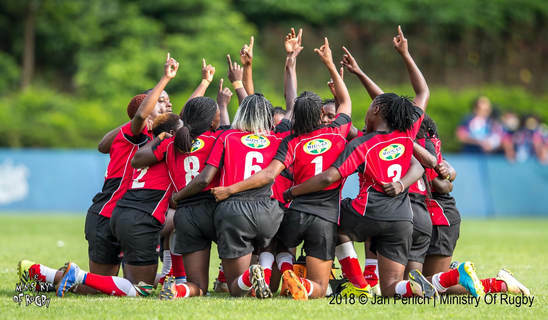 Rugby at the Commonwealth Games kick off on April 13 with the Lionesses pooled against New Zealand, South Africa and Canada in Pool A. “It is a tough pool on paper but we will leave Hong Kong with a lot of experience and hunger and definitely go there to compete,” added the tactician. Looking back at the performance in Hong Kong especially the semi final loss, Wambua says he couldn’t be more proud of his girls and their performance. The team will miss the services of Janet Owino who fractured her ankle in the quarter final win over Argentina.